Regulating your hormones is a slippery slope to navigate, especially with so many age, environment and diet-related factors that could throw your hormone levels off balance. While you might not necessarily feel any different when your hormones are fluctuating, an unexpected weight gain could be one of the first indicators that something isn’t quite right. Don’t let that dreaded tipping of the scale discourage you! 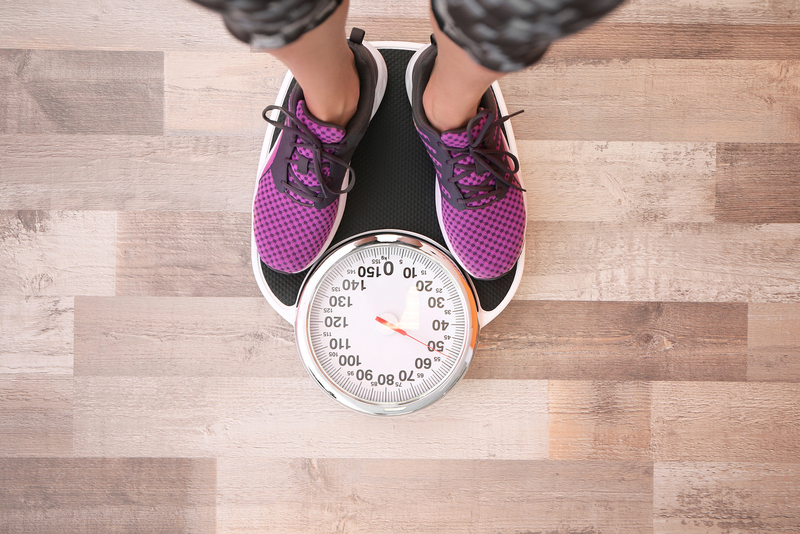 Hormones & weight gain go hand in hand, and understanding how to balance troublesome hormones could be all it takes to drop those hard to lose extra pounds. If you’ve ever found yourself in a scenario where your “flight or fight” senses were activated, you can thank cortisol for your speedy defense response. Cortisol is a hormone that acts as your body’s internal alarm system in response to stressful or dangerous situations. Your body is inundated with a nearly constant stream of stressors every day, and even something as seemingly harmless as multitasking could put your cortisol production in overdrive. Over time, having too much cortisol in the bloodstream can cause your body to go into “survival mode” and store excess fat around the notoriously stubborn midsection. How to balance cortisol: The best way to stabilize your body’s cortisol levels is to reduce your stress levels. Calm the body by getting a restful night’s sleep, calm the mind by practicing peaceful meditation, and calm the nervous system by cutting back on your caffeine, sugar, processed food and alcohol intake. While you can’t avoid external stressors completely, finding techniques to reduce avoidable stress could be key to keeping your cortisol levels in check. When it comes to hormones & weight gain, estrogen and progesterone are a package deal. Think of estrogen and progesterone as a seesaw on a playground – even the slightest shift can cause one to drop and the other to spike. Whether your hormonal changes cause estrogen dominance/progesterone deficiency or progesterone dominance/estrogen deficiency, this imbalance can cause fat storage in the hard to lose areas such as the stomach, hips and thighs. How to balance estrogen and progesterone: One of the most effective ways to manage estrogen and progesterone levels is to be mindful of the foods you put into your body. Foods containing zinc (seeds), magnesium (bananas) and vitamin C (oranges) are known to boost progesterone. To raise estrogen levels, turn to foods rich in phytoestrogens (plant estrogens) such as soy, grains and legumes. If you are looking to reduce estrogen dominance, limit your exposure to xenoestrogens (chemical compounds that mimic estrogen) by steering clear of products containing parabens, glycol, sulfate, chlorine, herbicides and butylated hydroxyanisole (BHA) and bisphenol A (BPA) found in plastics. With a nickname like the “fat storage hormone,” it should come as no surprise that insulin carries a great deal of influence when it comes to hormones & weight gain. Insulin’s primary role is managing your body’s blood sugar by driving glucose into cells to be burned as fuel. However, an imbalance of insulin (whether naturally or to treat a medical condition like diabetes) can cause disruptions in the way blood sugar is processed in the body. When your blood sugar levels are too high, insulin will signal your cells to store glucose as fat rather than burning it into energy. How to balance insulin: When it comes to balancing insulin levels, one of the most obvious ways to regain control of your blood sugar is to avoid sugary foods and drinks. Even seemingly harmless foods such as bagels, pre-packaged fruit cups and certain cereals can be riddled with hidden sugars. 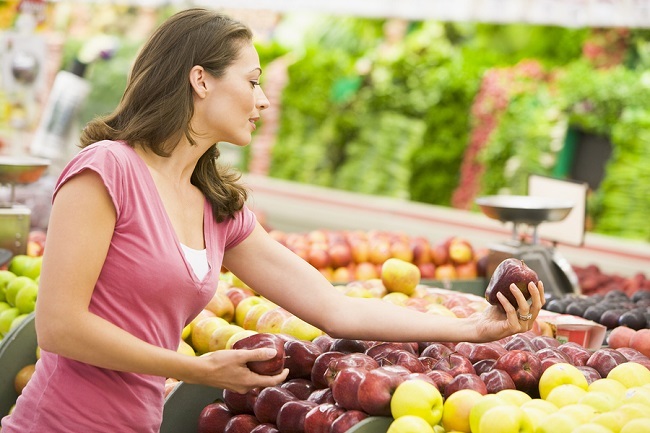 Instead, opt for natural, non-processed foods like fresh fruits, vegetables and beans. Their low glycemic index (GI) will help keep your blood sugar stable while providing your body with the energy spike needed to function optimally throughout the day. Shedding stubborn weight typically requires more effort than a quick jog on the treadmill, especially when hormones are the culprit. If you suspect your unexpected weight gain is hormonal in nature, your best plan of action is to schedule a consultation with a functional health doctor. He or she will work with you to determine the root cause of your imbalanced hormones & weight gain in order to provide you with a customized treatment plan to drop those hard to lose extra pounds and restore internal balance.